This month the Babes are baking a celebratory bread, thanks to Aparna of My Diverse Kitchen. 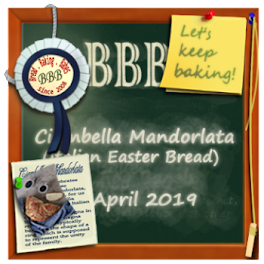 She chose Ciambella Mandorlata, a fragrant, braided wreath, served during holiday seasons. I used a different source for my recipe. Turns out it is included in Bread for All Seasons by Beth Hensperger (page 131), which I have in my cookbook library. 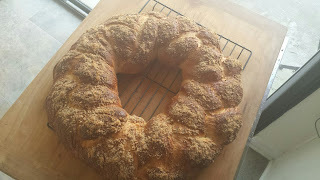 The bread itself has hints of lemon and almond flavors, while the topping is a mixture of sugar, cinnamon, and almonds. Just for fun, I used almond meal instead of large pieces of almond, and it worked out quite well. 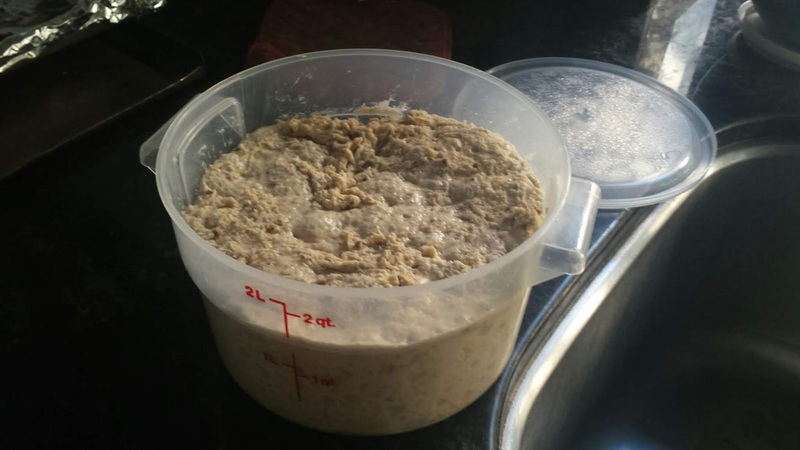 First rise: I think it doubled in size. 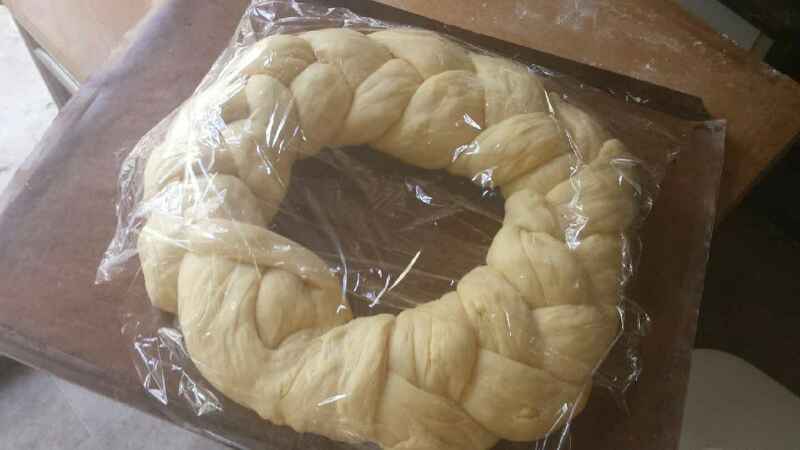 Second rise: I had to remember how to braid! 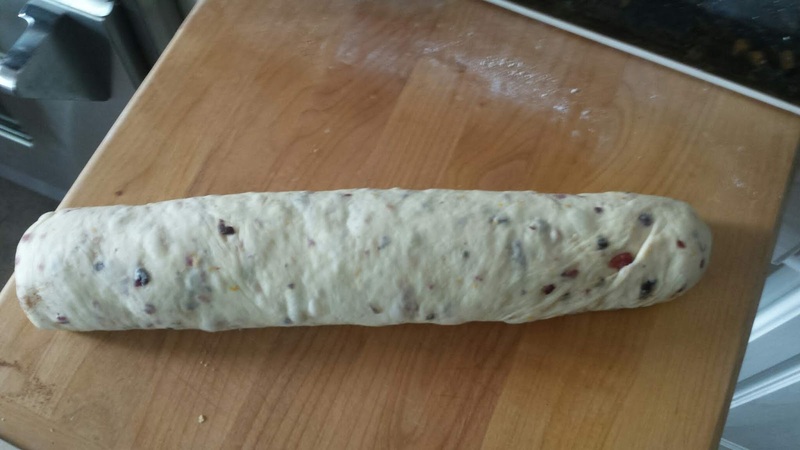 Plus, the strands were 30 inches long, which created a challenge for where to roll out the dough and braid it, not to mention moving it to the baking sheet. The center hole was certainly large enough, so I didn’t have to be concerned about keeping it open. Finished bread. It turned out just fine. The crumb was good, the taste was good. 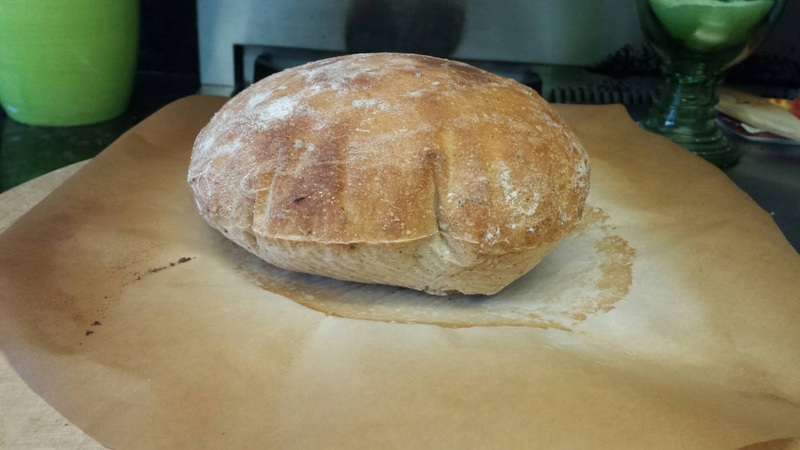 All in all, an easy bread to make with delicious results. 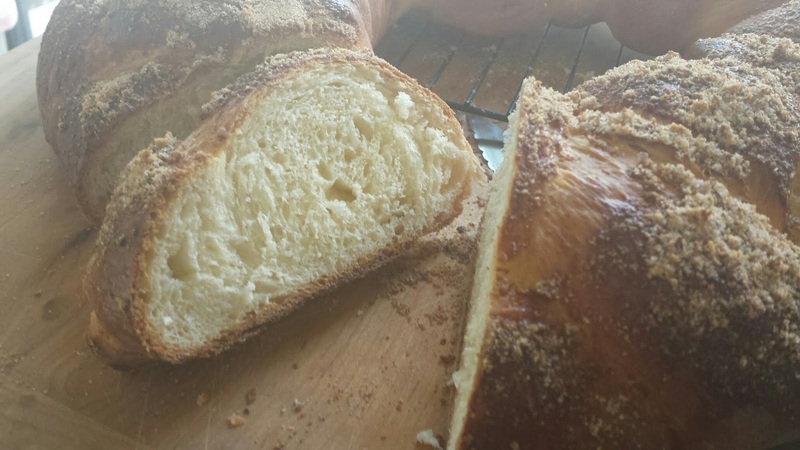 Visit the websites of the other Babes to see all the beautiful braided loaves. Stop by Aparna's blog to get the recipe. 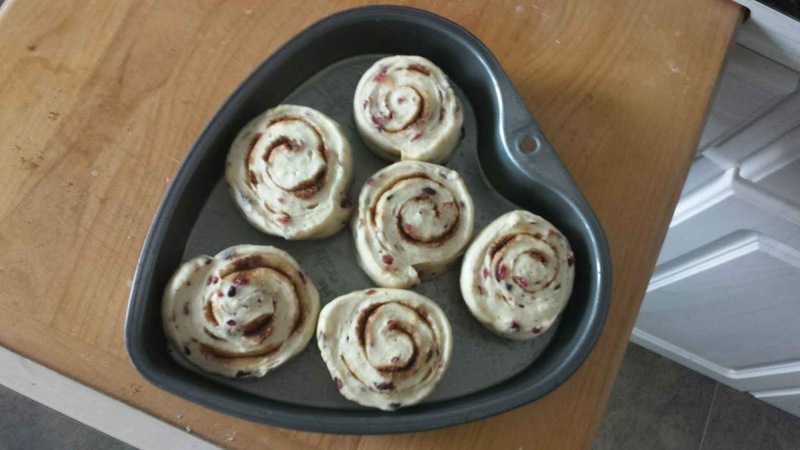 If you decide to bake one yourself, send the story and photos to Aparna by April 28th to be included in the roundup. 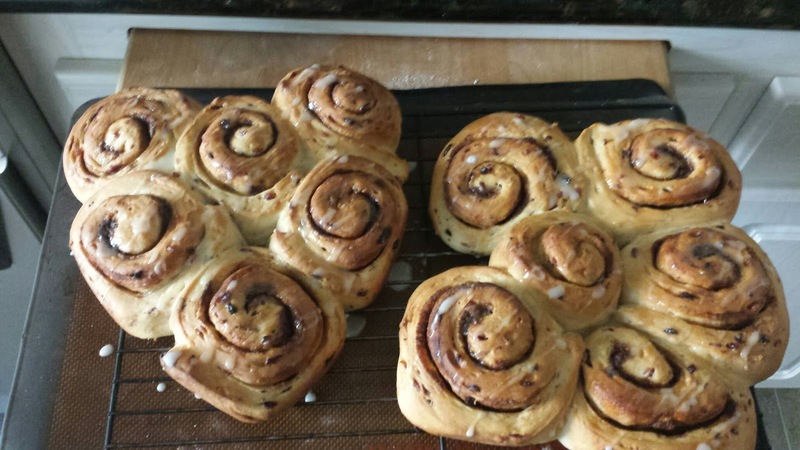 After several months of bread-baking debacles, I finally had success with this month’s challenge, Chelsea Buns, the selection by Tanna (My Kitchen in Half Cups), Kitchen of the Month. I ended up making the buns twice, because the first time around, I forgot the sugar in the filling. The buns were still good, but not overly sweet. When I made them the second time around, I decided to improve upon the recipe, and the results were even better. 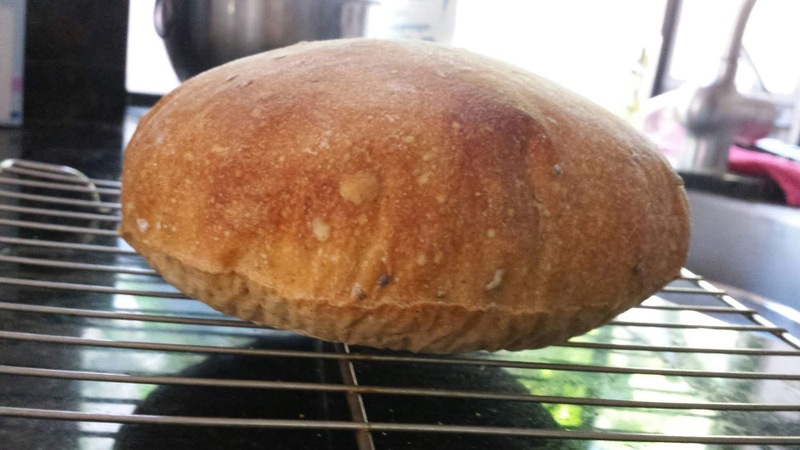 For the dough, I used my bread machine (R2D2) to save wear and tear on my hands. 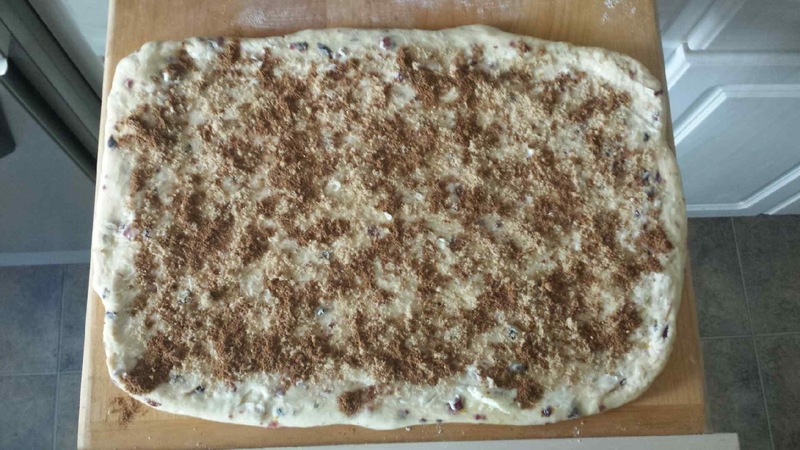 Round one: after I rolled out the dough, I spread softened butter on top and sprinkled it with mixed spice and currants. 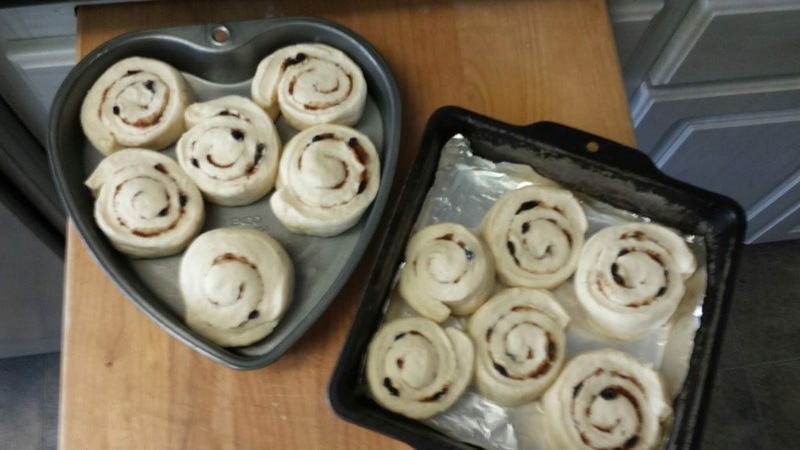 Then, I rolled up the dough, sliced it into individual rolls (using dental floss), then placed the buns in the pans for the final rise. One batch was in my heart-shaped pan, the other in a square pan. Once the buns were out of the oven and still warm, I used a milk glaze to cover them. After the taste test, I kept thinking something was missing, so I replayed the construction over and over in my mind until I had my aha! moment. Forgot the sugar for the filling. Also, the currants kept falling out. Obviously, I had to make them again. 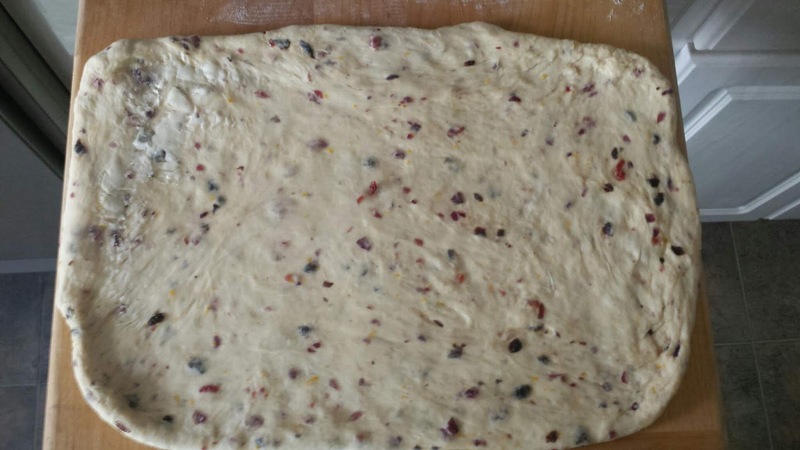 Round two: I finely chopped some dried cranberries and currants, and added them, along with some orange zest, to the dough itself. 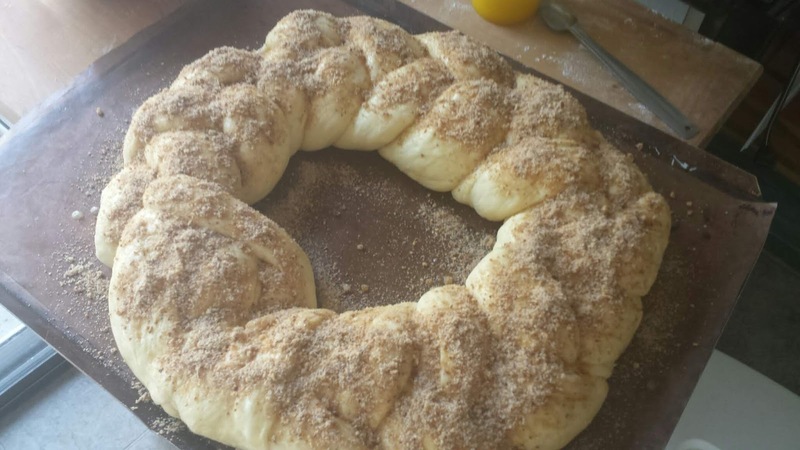 This time, when I rolled out the dough, I remembered the sugar. I spread it, once again, with softened butter, then, sprinkled it with mixed spice and a little brown sugar. I also changed up the glaze, using some powdered sugar and orange juice. This batch was super delicious. 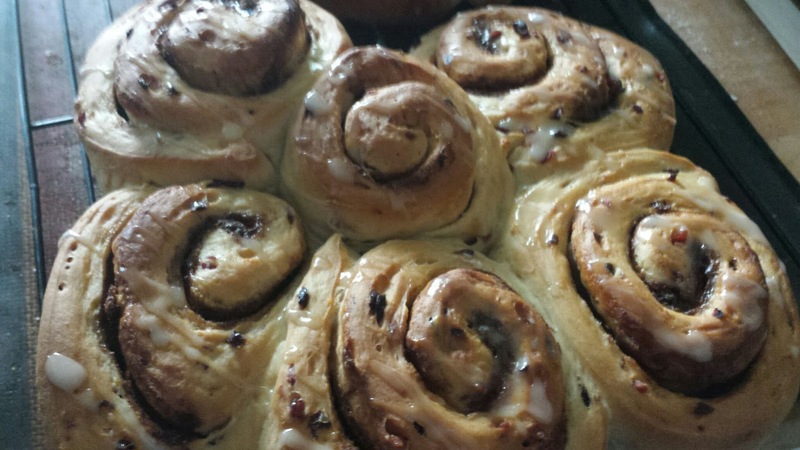 To be fair, I researched Chelsea Buns, and ended up combining several recipes. 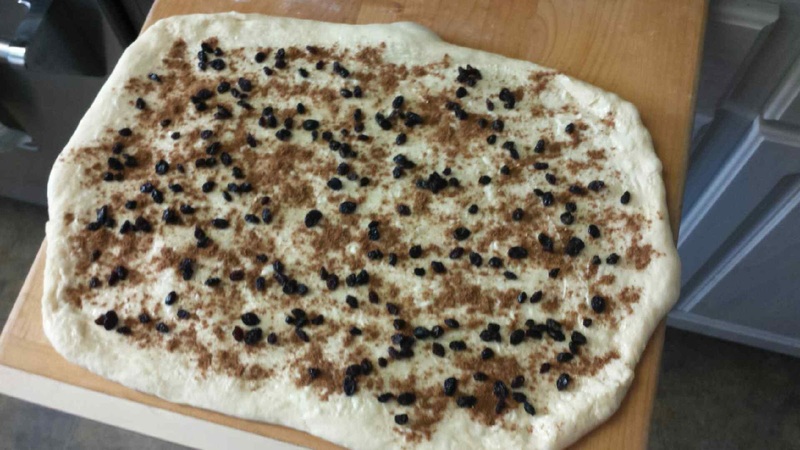 There’s a basic dough, a mixture of fruits, and the addicting spice mix. Definitely worth making again and again. 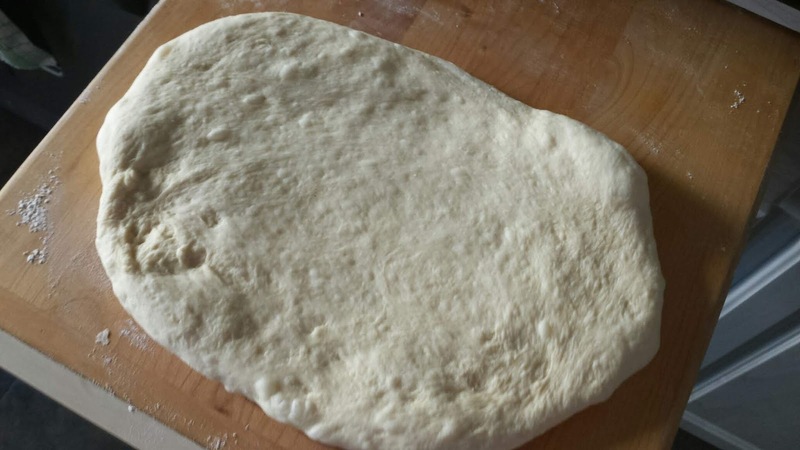 Follow the directions for your bread machine, using a manual setting; or, mix by hand/mixer. Bake rolls at 375˚F for 20-25 minutes. Glaze will still warm. 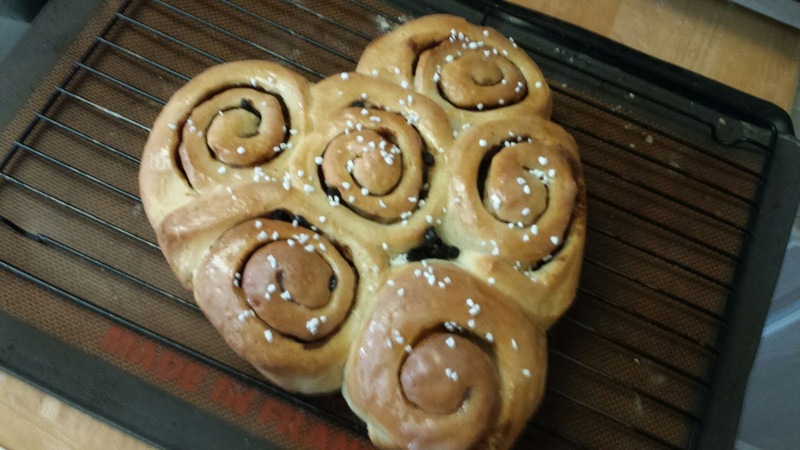 If you decide to make these yummy Chelsea Buns and help celebrate our eleventh (11th) anniversary, and I hope you do, send your story and photos to Tanna by February 28. Visit the other Babes to see how they adapted the buns to their own tastes.